Nikola Tesla was a man with far more inventions than most. He came up with some of the most fascinating things and yet most are not around today. It seems in recent times some of his methods have been revived as a strange tower in Texas has its own wireless energy tower. 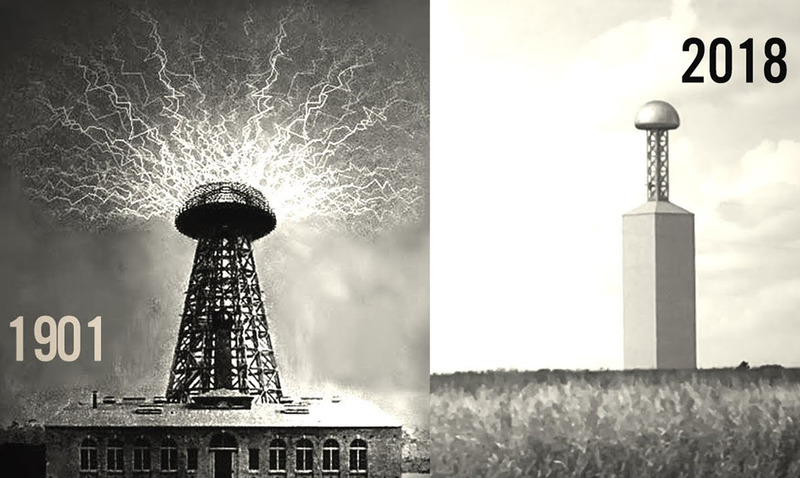 Tesla’s wireless energy tower was something he intended to use in order to broadcast free wireless energy around the globe. Of course, that was not what the powers in charge wanted and his plans were halted before things could get to where they needed to be. This tower in Texas went a whole year before finally being explained to the public and is quite fascinating in more ways than you’d think. It is owned by the company Viziv and has been confirmed as a remake of Tesla’s tower of power. It might look a bit crazy but it could do a lot for us all in the future. According to Taylor, the locals could see some of the benefits this tower has to offer within ten years. While we don’t know a lot about it or what goes into making it work you can see it quite clearly. To learn more about this interesting new tower of power please feel free to check out the video below. Who knows, maybe more will pop up as time passes. This tower could be the start of something quite new and quite unexpected by most. What do you think about all of this?